Legacy of Discord – Furious Wings has been blazing the charts since its release in fall of 2016. We've been breaking all expectations and it’s all thanks to the fans. A stream of updates continue to add exciting new features to the game. Check out what the latest update brings to the world of Legacy of Discord! - The Legend: An introduction of the legend of Legacy of Discord! 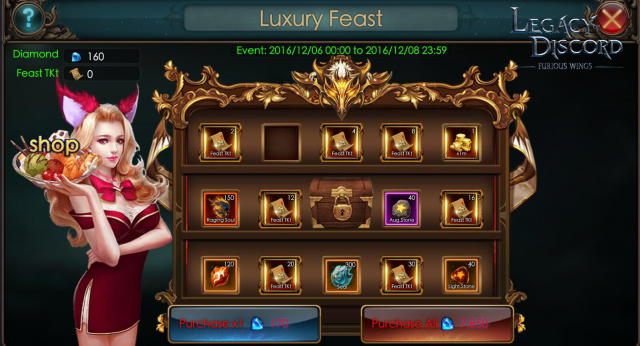 - Luxury Feast: New event that grants legendary pet fragments! The legend of Legacy of Discord is divided into 5 chapters, Story of the Light, The Dark Invasion, Betrayal and Revenge, The Predestined, and Unbreakable Alliance. 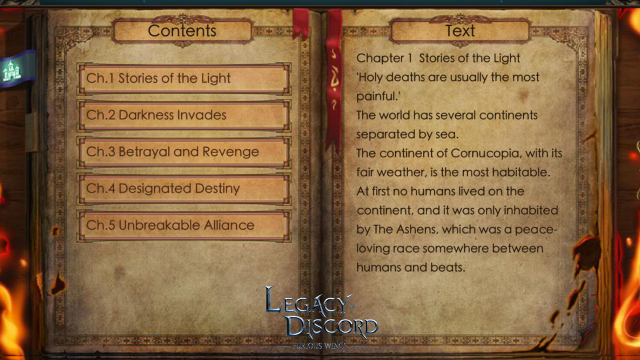 Within these chapters, players can learn more about the past of Aurora, the world of Legacy of Discord, and even see their own accomplishments scrubbed into the history of the game! As the legend of Legacy of Discord unfolds, what role will you play in this epic tale? The Luxury Feast is designed to be another place for players to activate and evolve Legendary Pets. Legacy of Discord – Furious Wings is a game that is always bringing new experiences to players. With weekly hot events and constant updates, players can enjoy all the non-stop action right in the palm of their hands! Join others from around the world and discover the best action RPG for mobile!